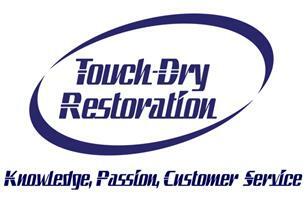 Touch Dry Restoration Ltd - Cleaning Services based in Wimbledon, Greater London. Touch Dry Restoration specialise in carpet and upholstery cleaning offering their customers unrivalled expertise and a multitude of cleaning methods including their unique dual system process which encompasses rotary shampoo and hot water extraction also known as steam cleaning using Eco friendly and wool safe products. Organic compound dry cleaning solutions are also available delivering minimal to zero drying times. Studied and Examined in Carpet and Upholstery Cleaning with Institute of Inspection Cleaning Restoration Certification (IICRC) achieving 92%. A trusted Scotchgard Carpet and Upholstery Protection are also available through Touch Dry Restoration. Having undertaken carpet cleaning and fabric care restoration training at the IICRC, Touch Dry Restoration Technicians have passed exams with evaluation in carpet and upholstery Construction, Fibres, Dyes, Chemistry, Cleaning Methods, Advanced Stain Removal, Risk Assessment, Problem Awareness, Problem Solvers and Health & Safety. It is with this expertise backed by our credentials and proof of adequate insurance cover that Touch Dry Restoration have qualified and been accepted as members of the National Carpet Cleaners Association (NCCA). The best of the best carpet and upholstery cleaning service or 100% MONEY BACK GUARANTEED. To Book Your FREE Survey Call 020 8542 9082.